Ok ok ok. Until 2017 stops lining up the ILLEST release date roster, I'm not gonna stop feeling like a kid on Christmas Eve. Tomorrow we will enter the month of Joey Bada$$ and Kendrick Lamar. Through Skyzoo's Instagram, I just saw that he will be dropping TWO projects this year. And on Cinco de Mayo, we will get Logic's 3rd LP, Everybody. Logic's first single, "Everybody", also serves at the titular track. But this was not always the case. The album was previously titled AfricAryaN (and God, before that). "Everybody" is the first song the Maryland emcee wrote for the album. Before he could fully conceptualize the album's theme, Logic knew he had something to say with this track. The song addresses race in a way we haven't seen the Young Sinatra do before. Logic has experienced racism from both black and white people as a biracial man. He also talks about how he was surrounded by the street life, even though people think he's fake because he looks like a white dude. As a biracial rapper he is able to address a point of view of a constant internal battle, his veins have the blood of a slave and a master. Logic has said, he is just a "biracial person who looks white in a black man's rap game. Who is not accepted by many parts of the culture because of how I look." Logic's success has afforded him a platform that he appreciates now more than ever. He know's the power of Hip Hop and the power his words have over the lives of those who follow him. Logic is ready to take on this responsibility head on and is ready to take his place as he climbs the ranks of the real emcees. 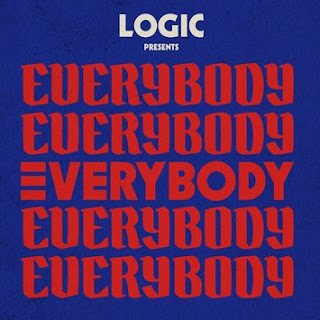 Peep the single below, and I'm also throwing up the Genius interview where Logic breaks down lyrics to "Everybody".